Product prices and availability are accurate as of 2019-04-21 12:50:42 EDT and are subject to change. Any price and availability information displayed on http://www.amazon.com/ at the time of purchase will apply to the purchase of this product. [No Wiring Hassels & Cordless Installing]**Powered by rechargeable battery, this wireless camera does not need to make holes on your wall. Neat and easy installing indoor or outdoor will save your money to pay for professional installers. 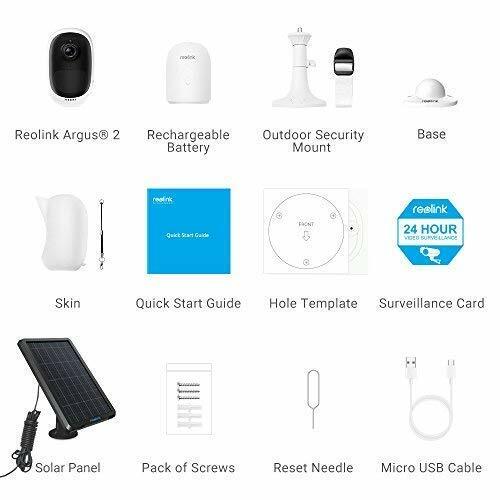 [Rechargeable Battery & Solar Panel Powered]**Coming with micro USB connector on the battery, the wifi camera can be charged by universal 5V 2A phone adapter and Reolink Solar Panel. Save your money for new batteries continuously. (No power adapter or Solor Panel packed in) [Full HD 1080p & 36ft Night Vision]**With 1920*1080 resolution, the surveillance camera captures sharp and bright videos. 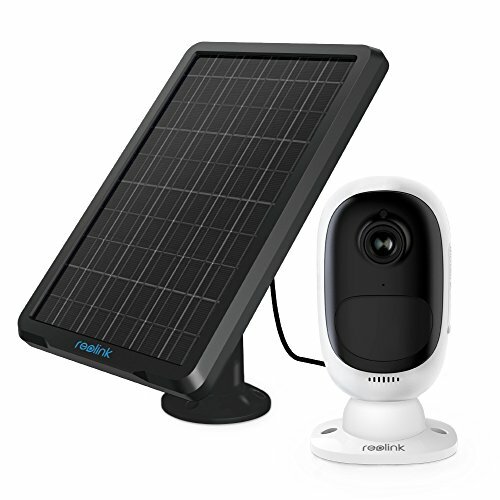 Built with starlight image sensor, it can see up to 36ft night vision. Do not miss any details day and night. 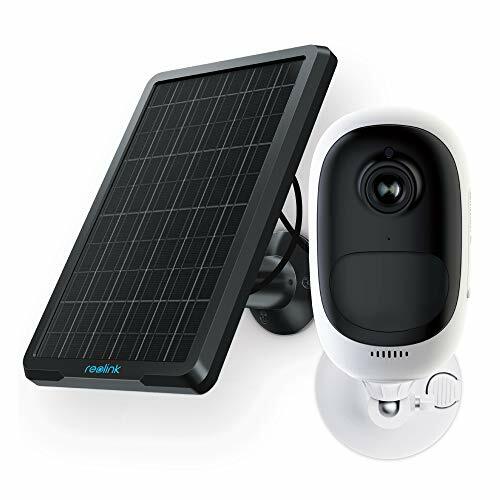 [SD Card Recording & Remote Playback]**Built-in with a micro SD card slot, the security ip camera can keep recording files locally in the SD card. It can support up to 64GB. You may playback the videos via FREE reolink app. anywhere. NO additional subscription fee. [Work Independetly & WiFi Router Connection]**No need of base station, the wifi ip camera can work with 2.4G wifi router directly without additional device. All setup is done on FREE reolink app. by following its easy voice instructions.